Weatherproof, spacious, secure, adaptable and customizable. The Single Bike Locker shows cyclists you care about the security of their ride. 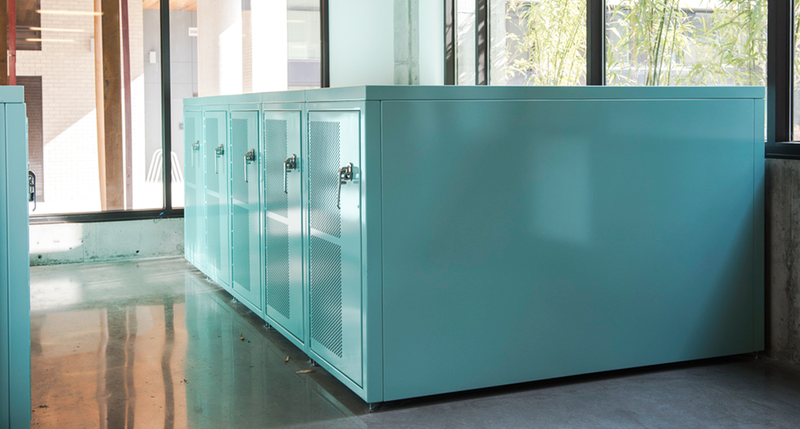 Bicycle lockers, sometimes called "Bike vaults" are highly customizable via perforation, vinyl wraps and stainless steel or powder coat finishes. We have an array of standard perforations available, and can create specialty perforations for your corporate logo or image, use the "Get a Quote" button below to start the conversation.